The Big Band Sound Of The 40’s, led by Ray McKay & Jim Corcoran, performs music made famous by Glenn Miller, Harry James, Tommy Dorsey, Count Basie, and Benny Goodman, to name a few. This 18-member band, featuring vocalists Lora Chan and Howard Hill, will take you back in time playing your favorite hits. 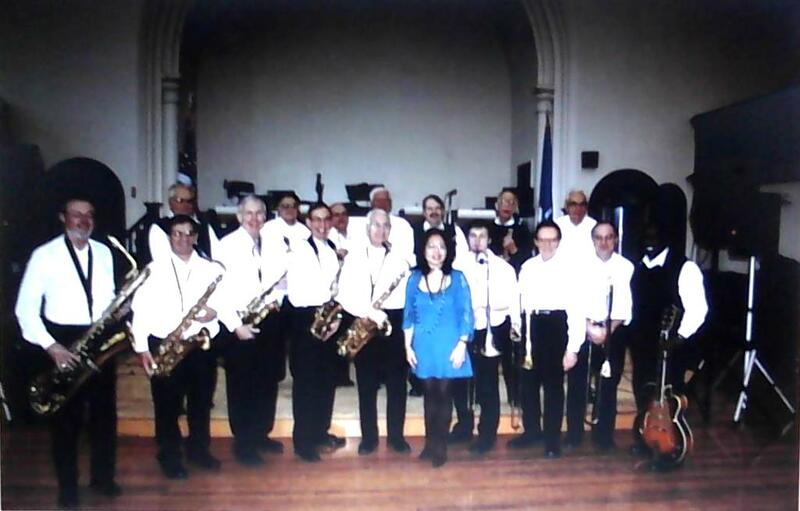 The group has performed in this area for 50 years, playing at the Manchester Band Shell, Saint Luke’s Church in Ellington, The Waite Cultural Art Series in Vernon, Star Dust Restaurant, Henry Park in Vernon, Center of Rockville, and the Elizabeth Restaurant in Cromwell. The group is currently playing on the 2nd Tuesday of each month at the Marco Polo Restaurant in East Hartford, CT.